When it comes to leaks or information about unreleased devices, benchmarks are almost always hit or miss. In fact, you should almost never fully buy into the data that they provide because from one day to the next, they could show off completely different information for what they claim is the exact same device. With that said, they do often open the bucket of paint to help manufacturers go all Picasso during a press event, so we still like to see them, especially when we are only a couple of weeks away from an unveiling. And that’s why we are taking a quick look this morning at yet another purported benchmark for the next Moto X, which was long ago dubbed unofficially as the Moto X+1. The benchmark, spotted by one of our readers over at GFXBench, shows a Motorola device under the model number XT1097, which is close to a model number we saw on a Verizon test box (XT1096) a couple of weeks back. We also saw this number in a benchmark last week that shows identical information to today’s benchmark. 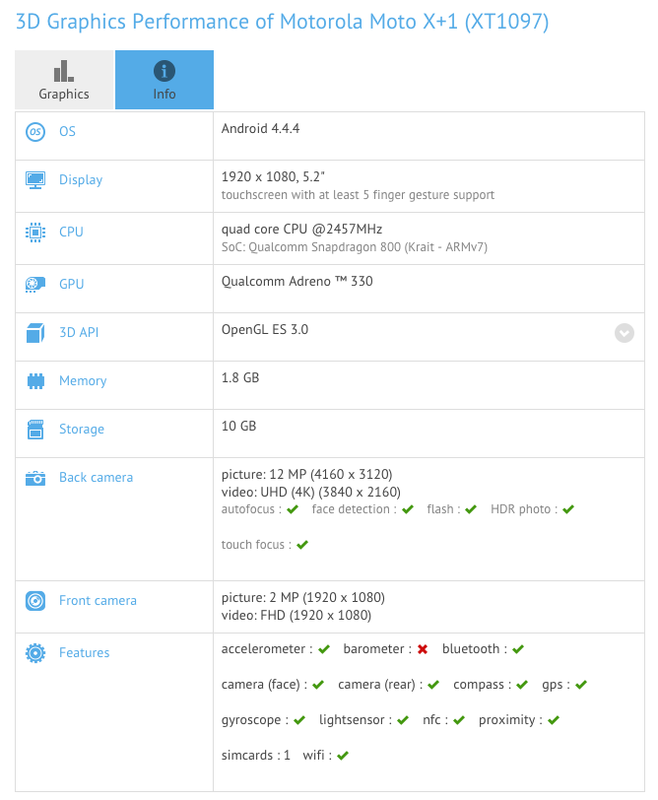 In this new test, we are seeing a device that sports a 5.2-inch FHD display (1920×1080), 2.45 or 2.5GHz Qualcomm Snapdragon 801, Adreno 330 GPU, 2GB RAM, 10GB available storage (likely 16GB total), 12MP rear camera, 2MP front camera, Android 4.4.4, and all of your standard sensors. That all sounds pretty good to me. 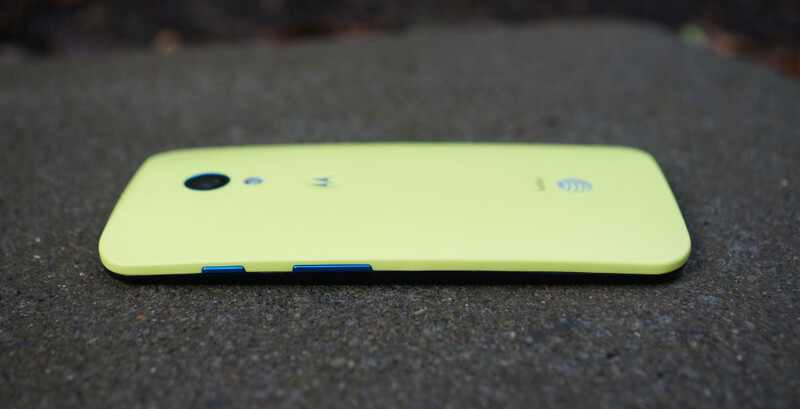 You are looking at a device that is similar in specs to the HTC One (M8) and Samsung Galaxy S5, however, we know Motorola will optimize the hell out of the chipset and also toss in a handful of amazing features, like Active Display. If the new Moto X looks like this and has a spec list like this benchmark suggests, plus may be customizable through MotoMaker, are you in? Everything becomes official on September 4.